This website is owned by Sonning Golf Club Ltd and provides information about the club and it’s facilities and functions. Sonning Golf Club Ltd shall use its reasonable endeavours to ensure that the information contained on the website is accurate and up to date. 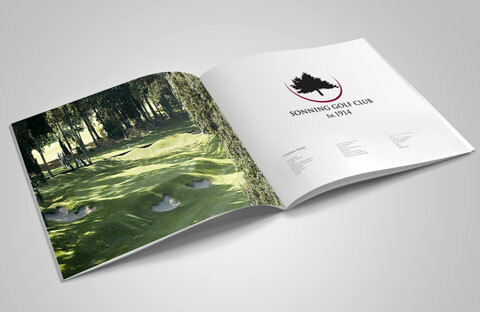 All materials presented on this website, including without limitation, any logo, design, text, graphic, and their arrangement, are licensed to or owned by Sonning Golf Club Ltd. Unless we indicate otherwise, you must not copy, distribute, republish, download, display, post or transmit any material from our website in any form or by any means, including, but not limited to, electronic, mechanical or otherwise, without our prior written permission or the written permission of the relevant copyright owner. In addition, you agree that you are solely responsible for actions and communications you have undertaken or transmitted through this website. You agree to indemnify and hold us harmless from any claim, action, demand, loss or damages made or incurred by any third party arising out of, or relating to your conduct (including transmitting any defamatory, derogatory or offensive statements or material to any person), your breach of these terms and conditions, or your breach of any rights of third parties. We reserve the right to make any change to the information appearing on the website at any time without giving notice. viruses or other corrupted materials; or occasional outages or disruption of services, which prevent you from either accessing this website or other third party websites via this website. Your use of this website, including all content, data or software distributed by, downloaded or accessed from or through this website, is at your own risk. You will be solely responsible for any damage caused to you, including to your business, financial affairs, or your computer system or loss of data that results from your use of this website, including the download of such content, data and/or software. For your own safety you should take regular back-up copies off data and use the latest virus checking software and Sonning Golf Club Ltd cannot accept any liability arising from your failure to do so. the exclusion of implied warranties; or the exclusion or limitation of liability, in accordance with these terms and conditions but allows a limitation of liability to a certain maximum extent, then our liability is limited to that extent. To the full extent permitted by law, any conditions, warranties or liabilities imposed on us, or implied into these terms and conditions, under any law are hereby excluded. For the purposes of this section, the words “we” or “us” include Sonning Golf Club Ltd and it’s related bodies corporate, officers, directors, employees, agents, suppliers, and any other party involved in creating, producing, transmitting, or distributing this website or related services.